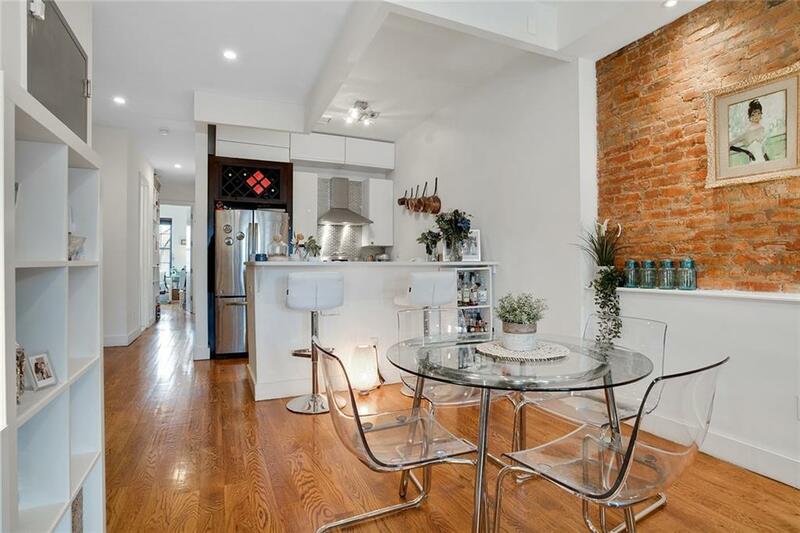 A prime Bedford Stuyvesant 2 BR / 2 BTH that is 1059 SF. 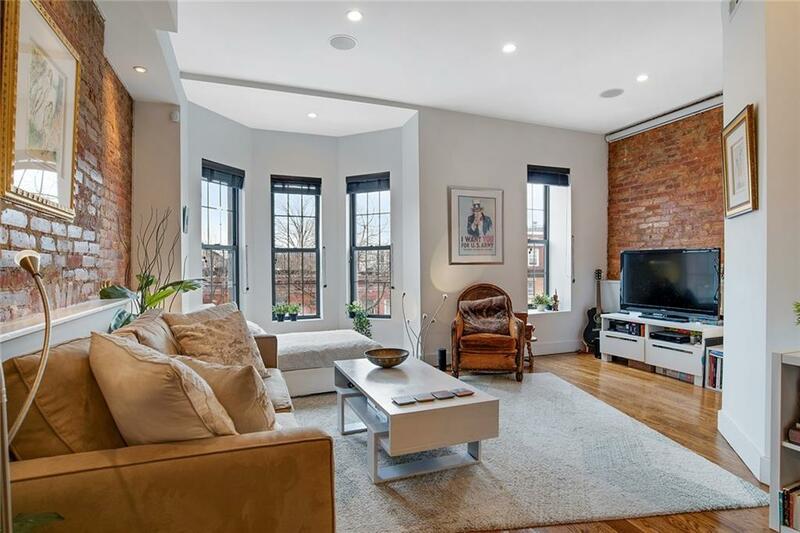 Located on the 3rd floor of a boutique building, this condo is the ideal Brooklyn home that many dream about. 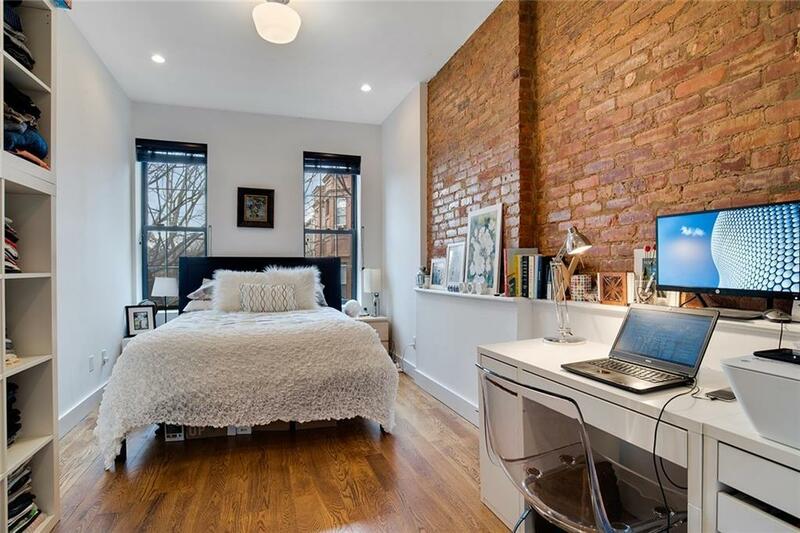 It's renovated, has bay windows, high ceilings with recessed lighting, and exposed brick throughout the floor thru apartment. The open kitchen has a breakfast bar with Ceasarstone countertops and GE appliances that include a dishwasher. Music aficionados will truly appreciate the JBL surround sound speakers. Central air/heating and a W/D are in the unit, plus a deeded storage cage is in the cellar, where you can also store your bikes in the common areas.Closets are generously positioned throughout the condo, with his and her closets in the master bedroom. The spacious en-suite master bath has double vanity sinks. The special amenity that this building has is the common roof deck, where you can mingle with your neighbors who take great pride in not only the building, but their close-knit community as well.There is a J51 tax abatement in effect for 10 years, so you pay no taxes!As for the neighborhood, Bedford Stuyvesant is a great historic community that feels like home. The C train at Kingston / Throop, is in close proximity to the building, while the 26 and 43 buses connect you throughout Brooklyn. If you're a foodie, check out these great restaurants to satisfy your dining needs: Harts, Swiingz, Chez Oskar, Biyou and Joloff. For entertainment, Restoration Plaza and Von King Park have the best outdoor concerts in the Summer. 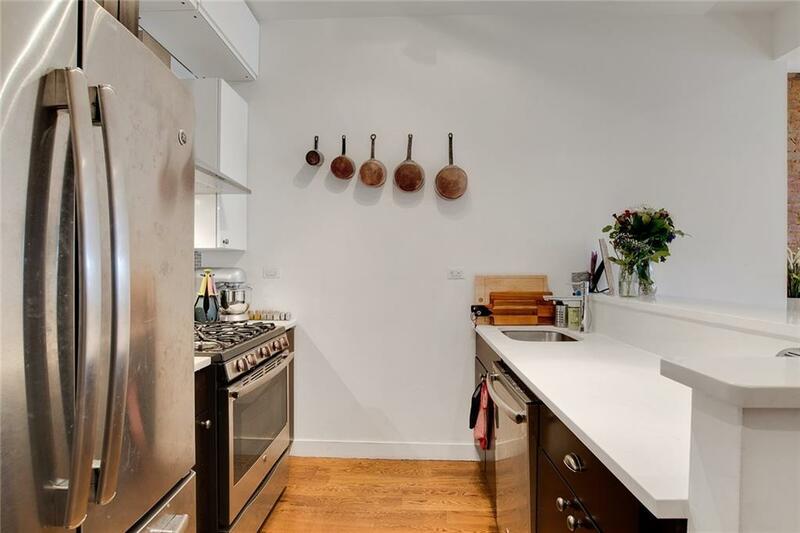 Listing courtesy of Jamella Swift of Keller Williams Nyc.